If your garbage disposal is not working properly, there could be a number of reasons for the malfunction. After you’ve tried the reset button on the garbage disposal and it does not work, you should have a plumber come take a look. At ACME, we thoroughly examine all parts of the garbage disposal to properly identify the root of the issue. Once we’ve done that, we are able to provide a solution, which typically includes replacing or repairing various parts that are worn, defective, or broken. 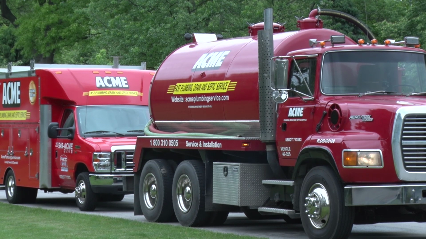 When you hire ACME for your plumbing service, you are hiring experienced technicians who are clean and reliable. Our plumbing services are also affordable; we will not charge any more than the price we quote you, even if the job takes longer than we expected.